We are happy to announce that the 2018 Australian National Championships will be held at the State Basketball Centre in Victoria! This years event will be held on Saturday November 24th. Qualifying competitors can enter online at the link below. Join our official Facebook event to be kept informed of all the details leading up to the big day! 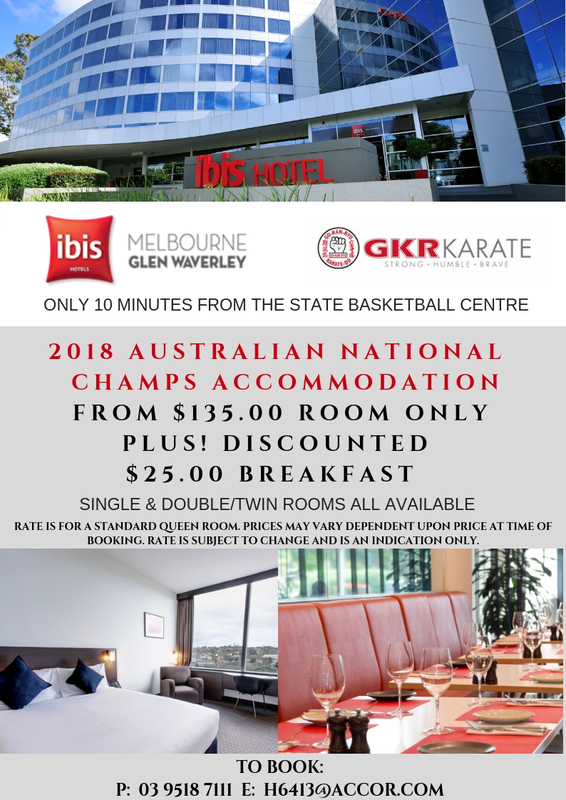 Enter Online Here The Ibis Glen Waverley has generously arranged a special price for National Championship attendees. To view the rates and details to book simply click here.